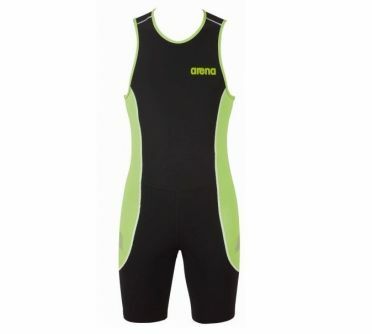 The Arena ST tri jammer black/green women is a long distance triathlon bottom that you can use for racing or regular training. Arena doubled the power of performance textile technology with Xtra Life Lycra's resilience and perfect fit and X-Raptor's potent muscle compression. Move faster in optimal comfort with a super light chamois that is quick to dry and never becomes bulky. The flat drawstrings and silicone leg grippers ensure no creep and keep water out. Streamlined power in the water, comfort on the bike and unrestricted movement while running. 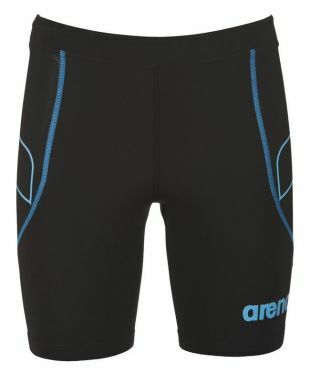 The Arena ST tri jammer black women is a long distance triathlon bottom that you can use for racing or regular training. Arena doubled the power of performance textile technology with Xtra Life Lycra's resilience and perfect fit and X-Raptor's potent muscle compression. Move faster in optimal comfort with a super light chamois that is quick to dry and never becomes bulky. The flat drawstrings and silicone leg grippers ensure no creep and keep water out. Streamlined power in the water, comfort on the bike and unrestricted movement while running. 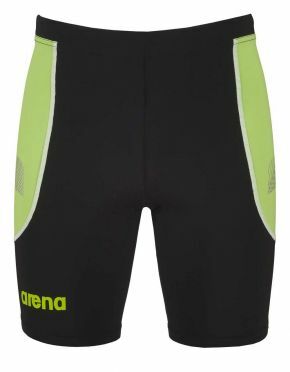 The Arena ST tri jammer black/green men is a long distance triathlon bottom that you can use for racing or regular training. Arena doubled the power of performance textile technology with Xtra Life Lycra's resilience and perfect fit and X-Raptor's potent muscle compression. Move faster in optimal comfort with a super light chamois that is quick to dry and never becomes bulky. The flat drawstrings and silicone leg grippers ensure no creep and keep water out. Streamlined power in the water, comfort on the bike and unrestricted movement while running. 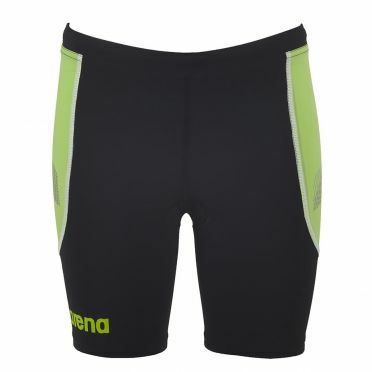 The Arena ST tri jammer black men is a long distance triathlon bottom that you can use for racing or regular training. Arena doubled the power of performance textile technology with Xtra Life Lycra's resilience and perfect fit and X-Raptor's potent muscle compression. Move faster in optimal comfort with a super light chamois that is quick to dry and never becomes bulky. The flat drawstrings and silicone leg grippers ensure no creep and keep water out. Streamlined power in the water, comfort on the bike and unrestricted movement while running. 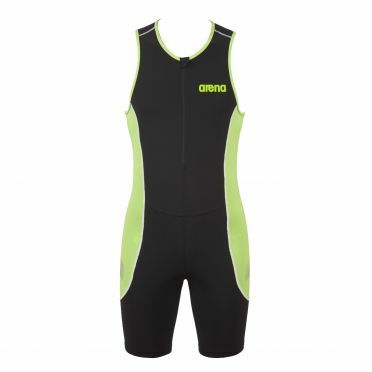 Be prepared and inspired with the new Arena ST front zip sleeveless trisuit black/green women. Inner resolve and endurance are crucial to long course triathlons, and so is the right trisuit. Created with advanced fibre technology for resilience and ideal muscle compression, you'll be hydrodynamic in the water and effortlessly powerful on land. Keep your focus on your race with a moisture-wicking chamois that doesn't absorb water or create extra bulk. Flatlock seams, a zipper garage and perfect fit reduce uncomfortable rubbing, and intelligent mesh panels offer optimal ventilation. Dominate the race in style in this sleek design. The Arena Carbon pro rear zip sleeveless trisuit dark grey women is designed for every section of a triathlon. 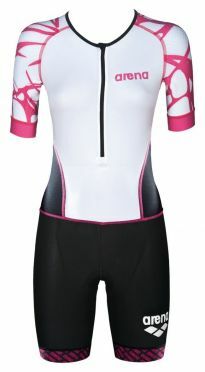 This Trisuit is made from Carbon Pro Powerskin material which is perfect for sprint and short distance performances. The Carbon pro trisuit is made of the most advanced materials, intelligence compression and the streamlined design increase your speed and endurance both on land and in the water and strategically placed mesh panels keep your body temperature comfortably and cool on the way to the finish. The Arena Carbon pro front zip sleeveless trisuit black women is designed for every section of a triathlon. This Trisuit is made from Carbon Pro Powerskin material which is perfect for sprint and short distance performances. The Carbon pro trisuit is made of the most advanced materials, intelligence compression and the streamlined design increase your speed and endurance both on land and in the water and strategically placed mesh panels keep your body temperature comfortably and cool on the way to the finish. 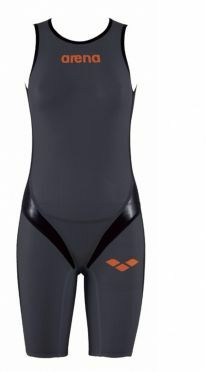 The Arena Carbon pro rear zip sleeveless trisuit orange women is designed for every section of a triathlon. This Trisuit is made from Carbon Pro Powerskin material which is perfect for sprint and short distance performances. The Carbon pro trisuit is made of the most advanced materials, intelligence compression and the streamlined design increase your speed and endurance both on land and in the water and strategically placed mesh panels keep your body temperature comfortably and cool on the way to the finish. Be prepared and inspired with the new Arena ST front zip sleeveless trisuit black women. Inner resolve and endurance are crucial to long course triathlons, and so is the right trisuit. Created with advanced fibre technology for resilience and ideal muscle compression, you'll be hydrodynamic in the water and effortlessly powerful on land. Keep your focus on your race with a moisture-wicking chamois that doesn't absorb water or create extra bulk. Flatlock seams, a zipper garage and perfect fit reduce uncomfortable rubbing, and intelligent mesh panels offer optimal ventilation. Dominate the race in style in this sleek design. Be prepared and inspired with the new Arena ST front zip sleeveless trisuit blue women. Inner resolve and endurance are crucial to long course triathlons, and so is the right trisuit. Created with advanced fibre technology for resilience and ideal muscle compression, you'll be hydrodynamic in the water and effortlessly powerful on land. Keep your focus on your race with a moisture-wicking chamois that doesn't absorb water or create extra bulk. Flatlock seams, a zipper garage and perfect fit reduce uncomfortable rubbing, and intelligent mesh panels offer optimal ventilation. Dominate the race in style in this sleek design. Be prepared and inspired with the Arena ST aero short sleeve trisuit women. Created with advanced fibre technology for resilience and ideal muscle compression, you'll be hydrodynamic in the water and effortlessly powerful on land. Built-in breathability and maximum comfort with strategic mesh panels and a quick-drying chamois engineered for minimal bulk in the water and on land. 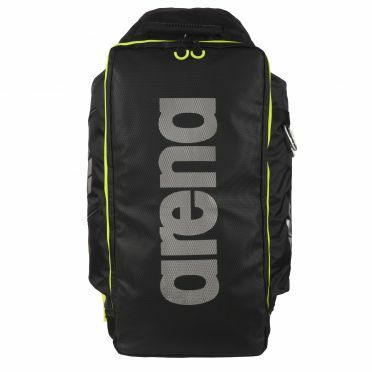 With two mesh pockets at the back for gel, smart phone etc. Dominate the race in style in this sleek design. 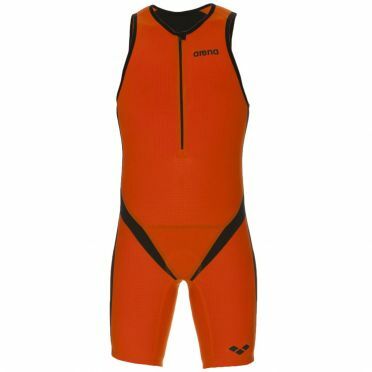 The Arena Carbon pro front zip sleeveless trisuit orange men is designed for every section of a triathlon. This Trisuit is made from Carbon Pro Powerskin material which is perfect for sprint and short distance performances. The Carbon pro trisuit is made of the most advanced materials, intelligence compression and the streamlined design increase your speed and endurance both on land and in the water and strategically placed mesh panels keep your body temperature comfortably and cool on the way to the finish. 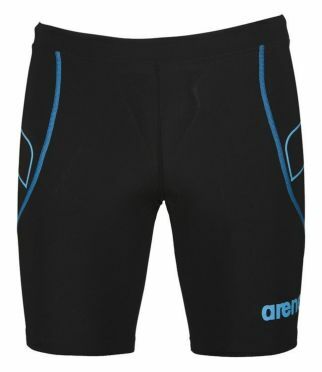 The Arena Carbon pro rear zip sleeveless trisuit dark grey men is designed for every section of a triathlon. This Trisuit is made from Carbon Pro Powerskin material which is perfect for sprint and short distance performances. The Carbon pro trisuit is made of the most advanced materials, intelligence compression and the streamlined design increase your speed and endurance both on land and in the water and strategically placed mesh panels keep your body temperature comfortably and cool on the way to the finish. 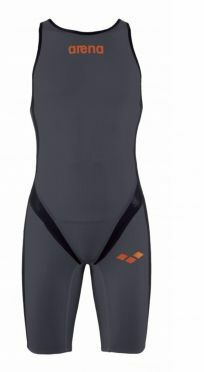 The Arena Carbon pro rear zip sleeveless trisuit orange men is designed for every section of a triathlon. This Trisuit is made from Carbon Pro Powerskin material which is perfect for sprint and short distance performances. The Carbon pro trisuit is made of the most advanced materials, intelligence compression and the streamlined design increase your speed and endurance both on land and in the water and strategically placed mesh panels keep your body temperature comfortably and cool on the way to the finish.